Don’t Think Small, Think Biggs! 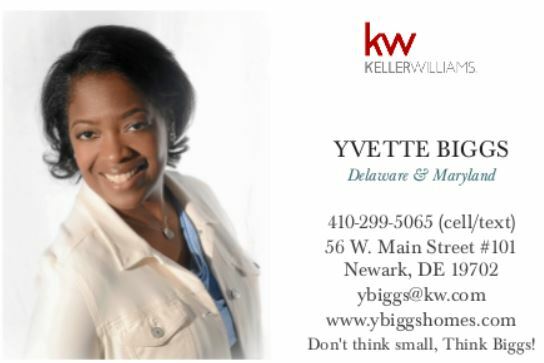 Your Realtor® – Yvette Biggs available to assist you with all of your real estate needs throughout Delaware, Maryland, and Pennsylvania. @ybiggshomes, you’re not just a client, we are partners in the real estate journey together! The best compliment you can give is a referral. Thank you! Remember – Don’t think small, Think Biggs!